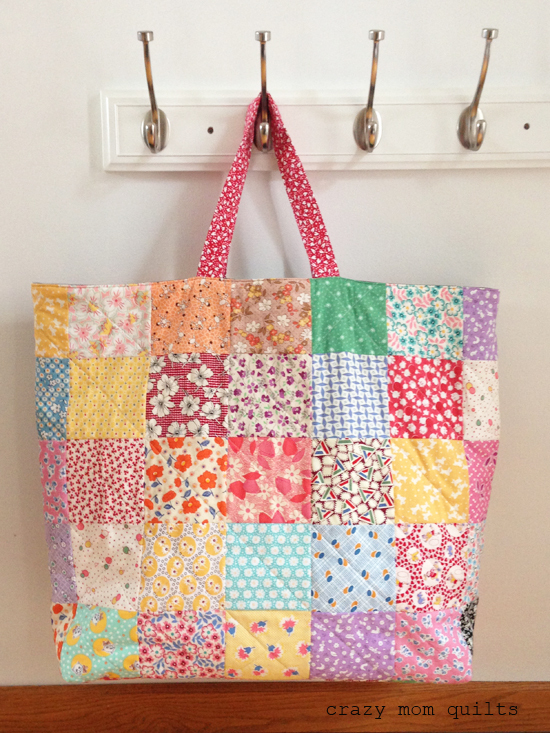 The large size would be perfect for hauling a whole lot of towels/jumpers/easential stuff to the beach! Might need additional reinforcements for that kind of use! Cheers! I love the scrappy look and the smile on Abby's face. Such pretty bags. I can see several uses for these: the beach, sleepovers, weekend trips, storage. Love them! Seriously! Who does not need a bag that can hold an 11 year old? 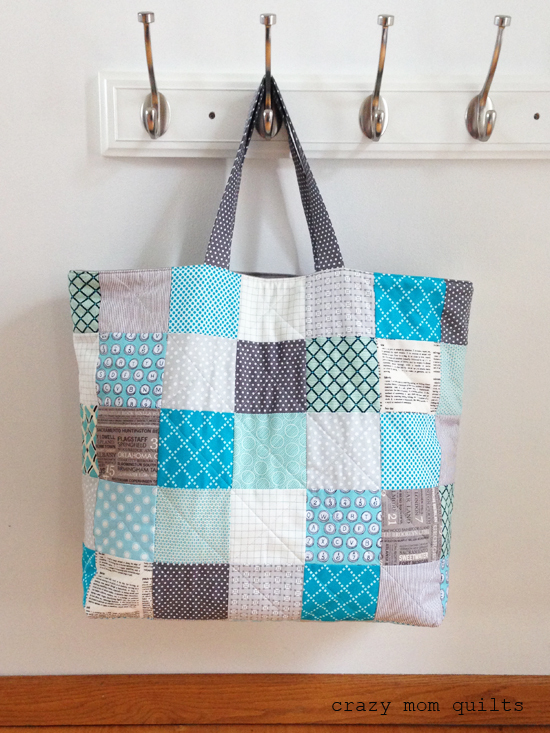 What a great looking project out of those simple squares. 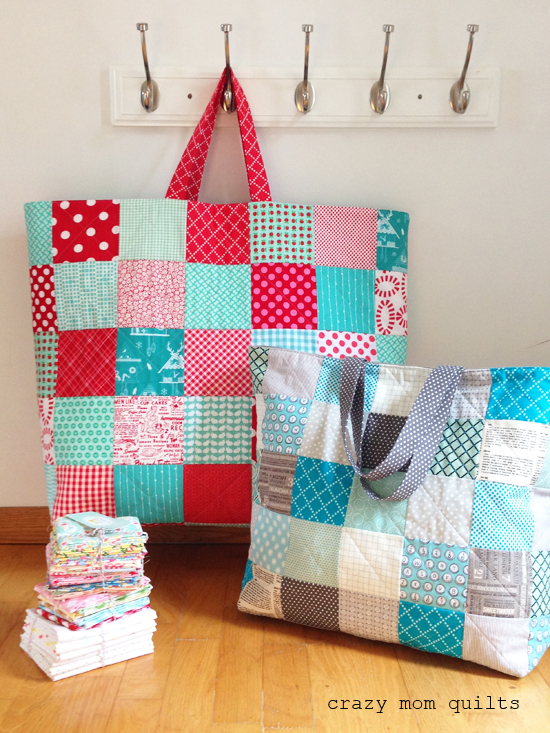 I think these would be great for gifting a quilt. What a great idea! I love that you created a JUMBO bag too!! 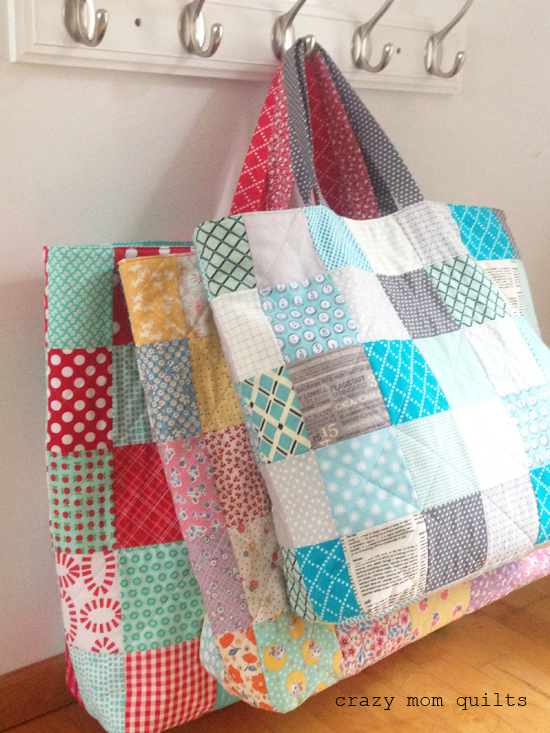 I love this bag in all three sizes. And I love the thought that if I ever need to carry an 11 year old, I can! LOL Your daughter is so adorable! This is a must buy pattern for me. It will really help use up my scrap stash. 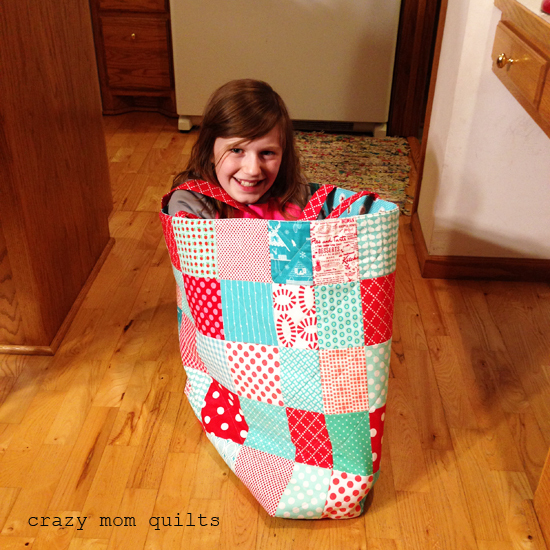 Love the large bag with your almost 11 year old....gives great perspective on the size and makes me happy to see it! 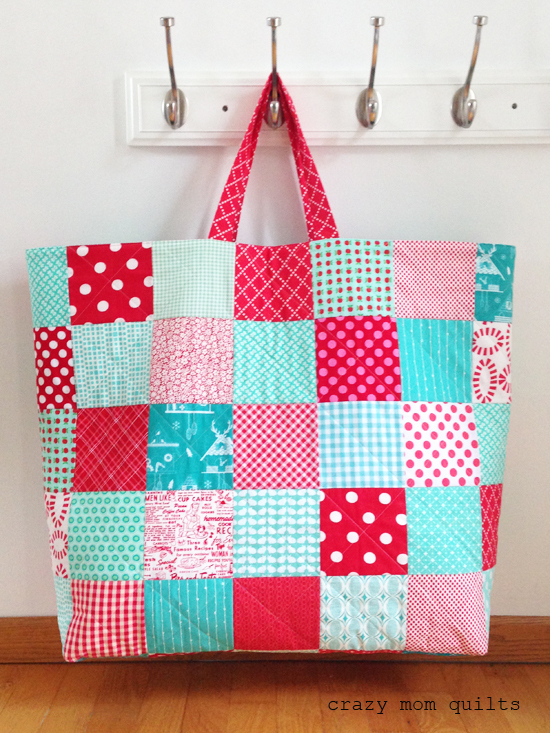 How clever you are to change the size of the bag by changing the size of the squares used in the pattern! I was just enjoying your new book this morning, and it has inspired me to get in there and do some scrap management this morning. absolutely love the bags and your colour choices.